Trusses: Clear Span 10/12 Attic Trusses 2′ O.C; 12’W x 24’L x 6’H Approx. Room Size ~ ¾” OSB Flooring~ 3′ Wide Stairway ~ 2×4 Hand Railing. 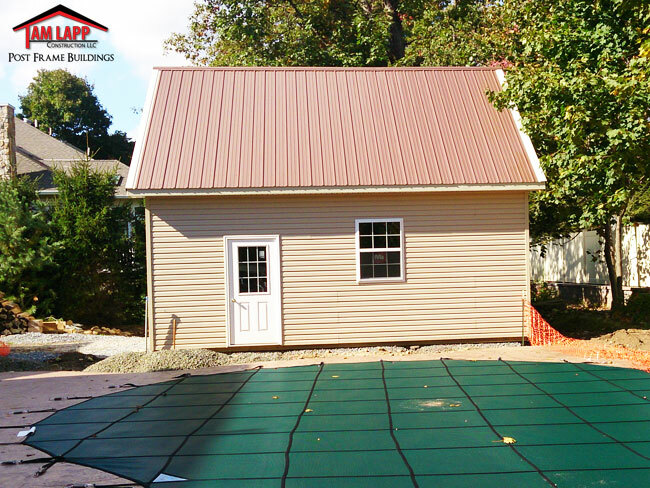 Roofing: Painted 29 GA. Steel, 40 Year Metal Roof. Siding: D4 Dutch Lap Vinyl Siding w/ ½” CDX Plywood & House Wrap. 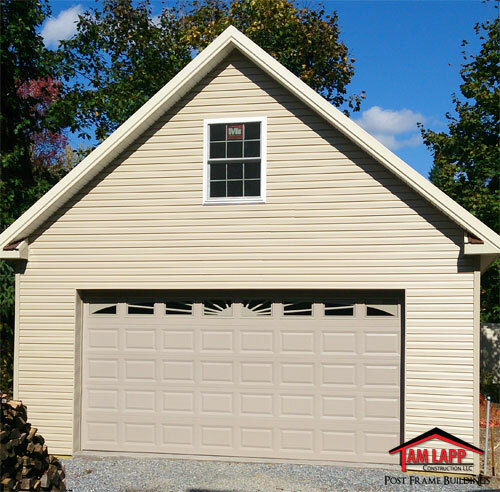 Roof Overhangs: Overhang boxed-in w/ white vinyl soffit w/ painted fascia trim: 12” Sidewalls, 12” Gable Ends w/ 12”x18” pent roof returns. 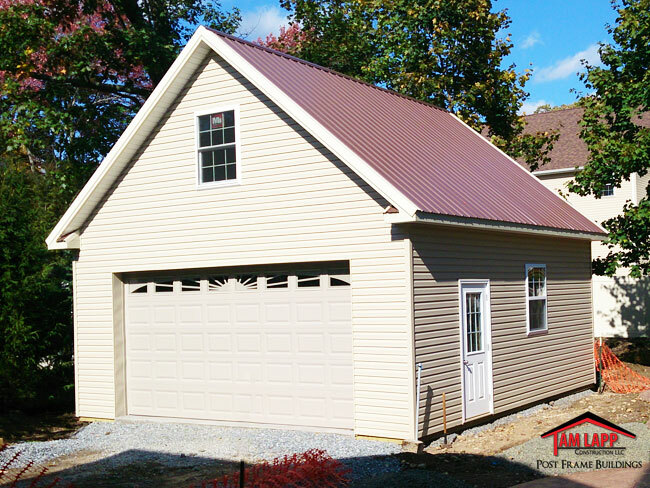 Windows: (1) 3′ x 4′ Single Hung, (1) 3′ x 4′ Double Hung in Attic End, All Insulated w/grids & screen. 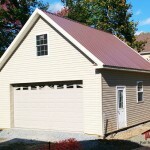 Garage Doors: (1) 16’W x 8’H w/ Sunset 505 Window Inserts, Sand tone color.